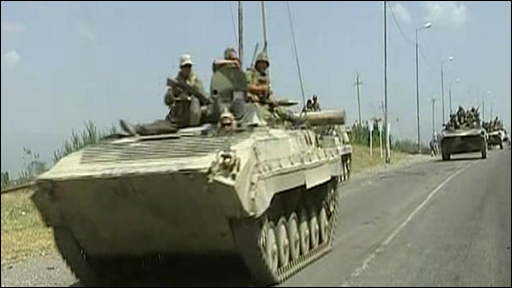 There are reports of looting in the Georgian town of Gori, where Russian tanks patrol the streets despite a truce. Georgian President Mikhail Saakashvili accused Russia of breaking the ceasefire deal brokered by French President Nicolas Sarkozy. Gavin Hewitt reports.